Improved technology can help administrators turn attendance data into meaningful information. Under older technology systems it was difficult to share current up-to-date data in a way that everyone could use. 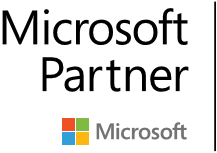 Now, institutions are empowered to share data through Microsoft’s Power BI. Our Attendance Reduction solution is an elegant and clear example of how complicated data from many different classrooms, teachers, and schools can be organized to promote positive outcomes across your district. 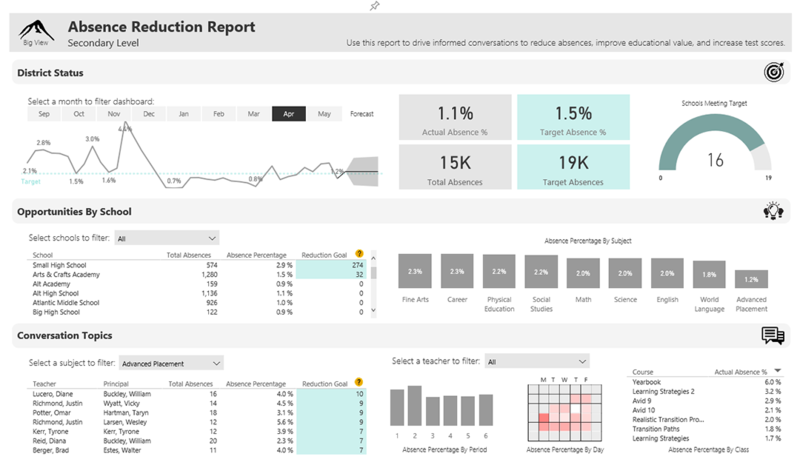 Attendance is vital to learning, however the abundance of noise contained within attendance data can make it difficult for school administrators to find the information they need to tell a clear concise story, especially if they are tracking across many different periods, classrooms, teachers, and schools. Research shows more conversations between students and teachers can lead to increased attendance. 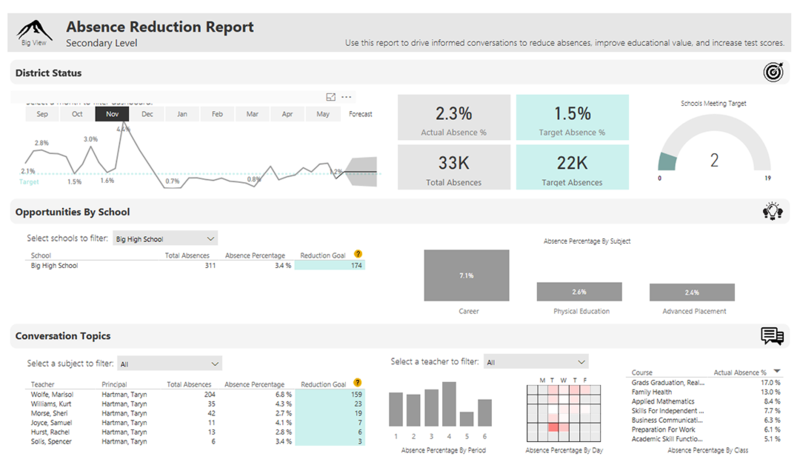 Therefore, we designed this dashboard to drive more conversations, and increase engagement, between administrators, teachers, and students. 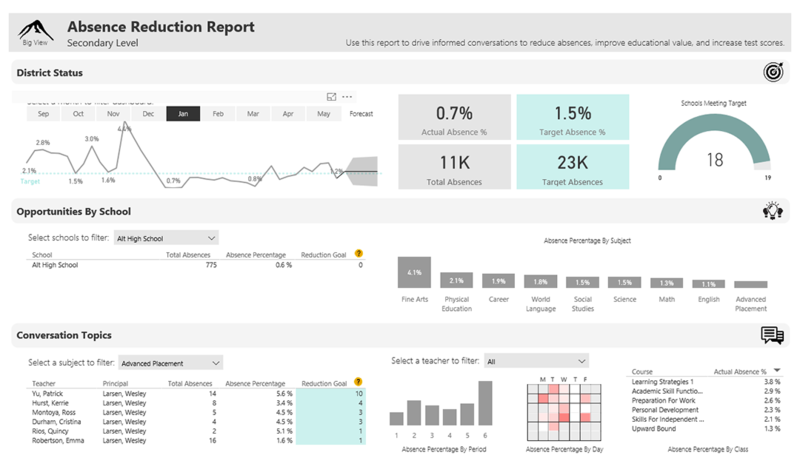 This dashboard will identify important conversations from the district level down to each individual teacher. The District Status section provides district administrators with a high-level understanding of attendance trends and goals. The line chart shows actual results compared to target over time and gives a predicted range for future months. The Opportunities by School section will help district administrators target the most important schools to work with. The Conversation Topics section will help school administrators as they reach out to teachers on an individual basis. This section provides relevant information such as subject, course, period, and day of the week. 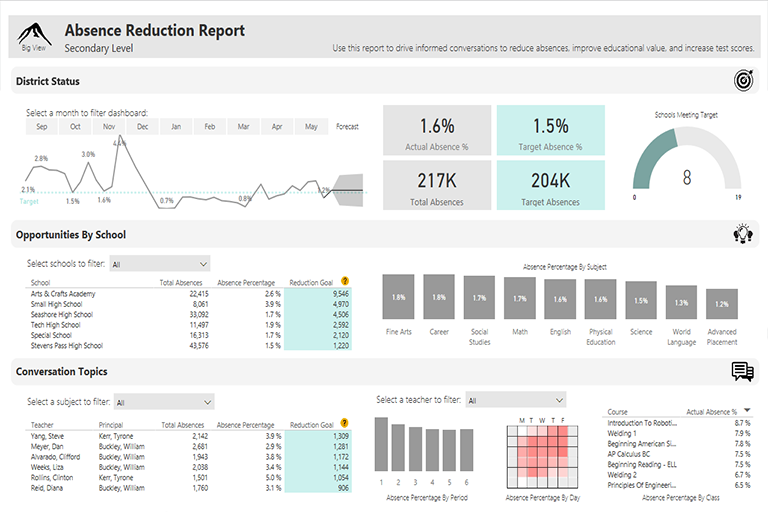 The Power BI practice at Decisive Data will help you visualize and share your data. We strive to deliver solutions that not only let you make sense of your data, but lead you to the next step of taking action and driving process improvement at your company. If you'd like to learn more about how we can help you deliver actionable insights please contact us.